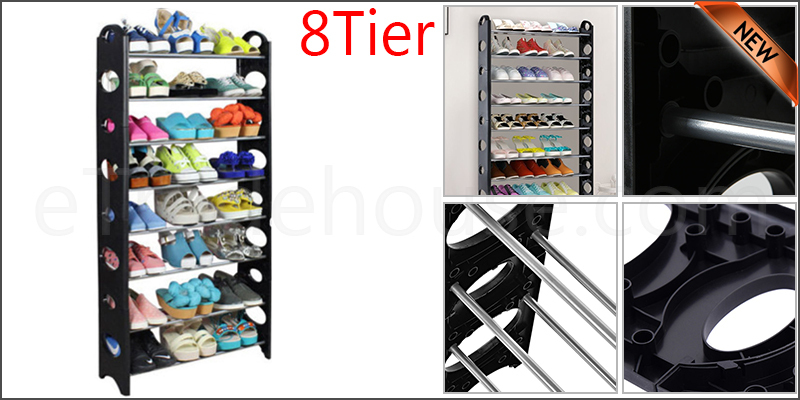 8 Tier Storage Rack can hold up to 24 pairs of shoes. This shoe rack helps you to keep all your shoes tidily and clean in one place, be it the bedroom, porch, living room, passage or utility room. Suitable for Men’s and Women Shoes, Boots, Sports Shoes, Sneakers, Shoe Box etc.